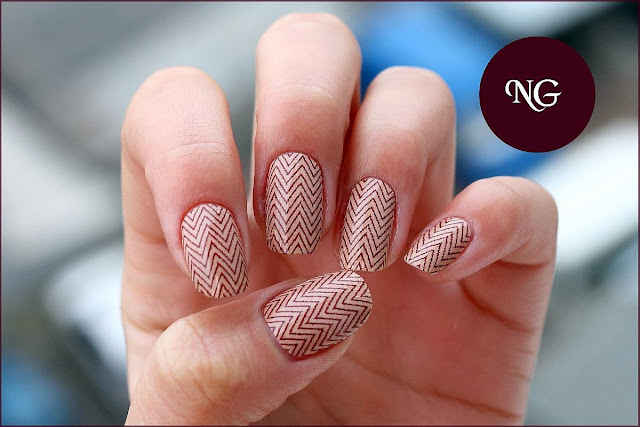 Have you ever heard about Incoco Stripes? To be honest, I haven't... until I was contacted by them and asked to review their products. I gladly accepted and you can imagine how happy I was to have this opportunity! 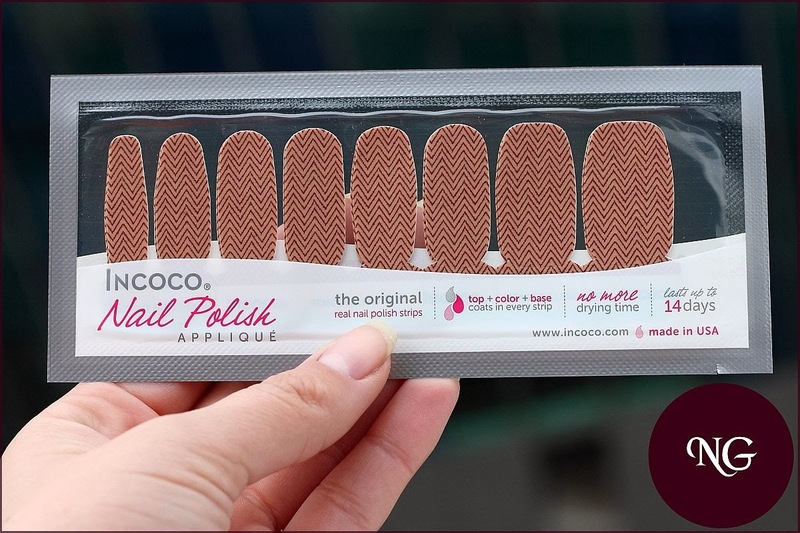 Incoco (short for Innovative Cosmetic Concepts) is a company founded in 1984, with its headquarters in Clifton, New Jersey, USA, which produces 100% real nail polish appliques. Using Incoco stripes you will have zero drying time and incredible designs in only a few minutes! I have measured that the first time I applied the stripes I needed 2 minutes / nail. With practice you can get even faster! Let's see how the stripes look like. When I first saw the stripes I was skeptical about finding the right stripe for my nail, but in the end it all turned out to be perfect. Let's see why! 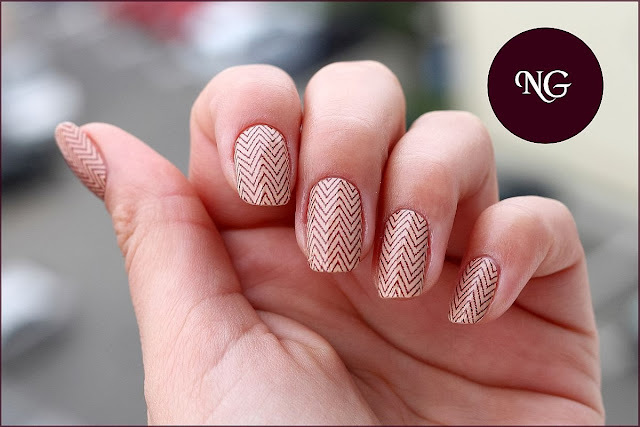 Before applying the stripes, clean you nails from nail polish and don't use a base coat or cuticle oil. 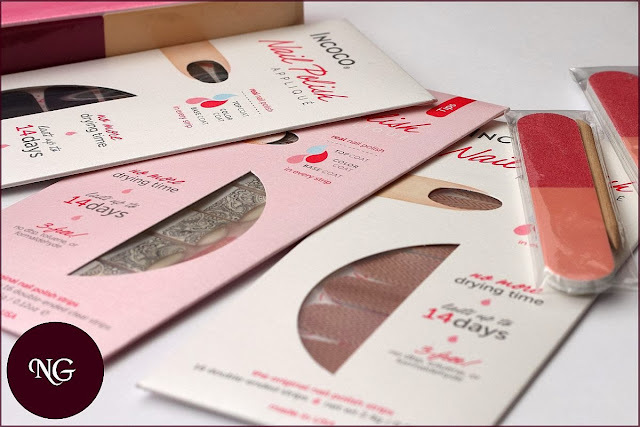 The cuticle oil part is crucial! Otherwise the stripes won't stick and you will be disappointed by the product. 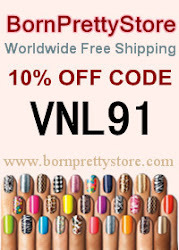 I have used the buffer they have sent me to clean the surface of my nails. I have used only the dark pink part and buffed really gently. After having your nails cleaned and prepared, find the stripe that fits your nail best. 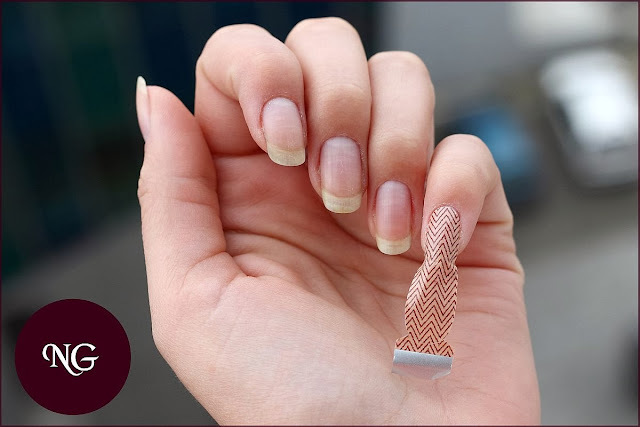 It should rather be smaller than bigger because the stripe can be squeezed gently. This is why everyone shuld find her perfect size! Apply, squeeze, arrange with the orange stick (included) and just buff the rest off with the little buffer (also included) and you're done. 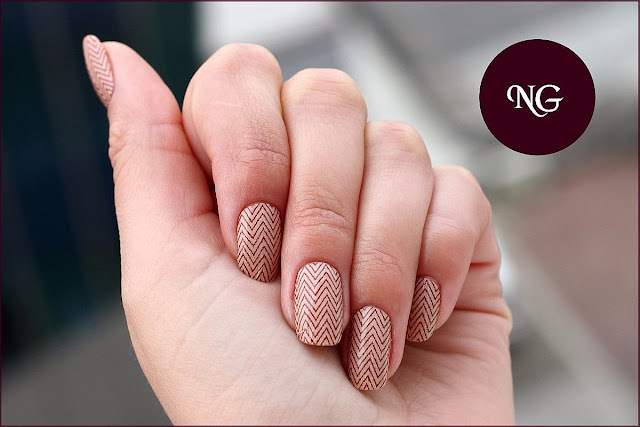 I am amazed by how easy it is to apply the stripes and to have a perfect manicure in just a few minutes! If you still have questions about how to apply the stripes, visit the official How-to-apply section of their website here. 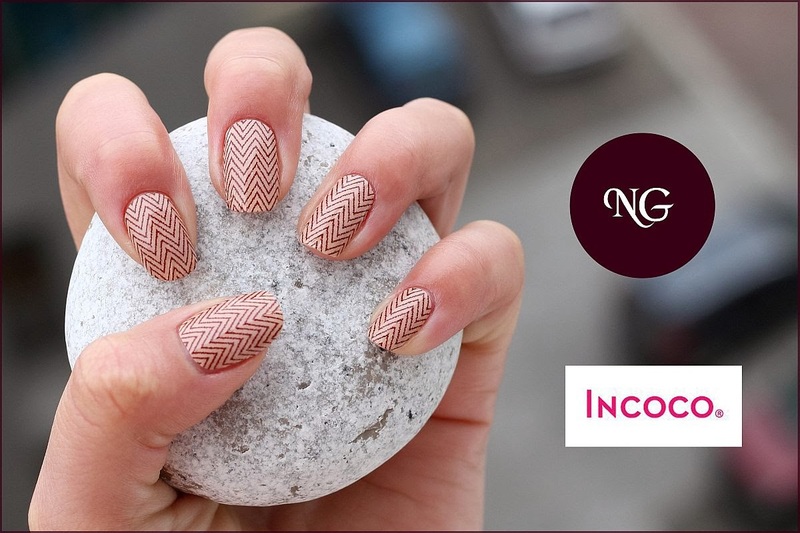 For more incredible colors and designs visit Incoco, and come back to NailGlaze to see the review of the other to stripes Incoc has sent me. 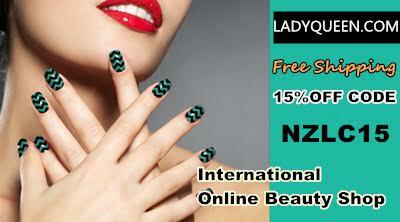 On the website you will find nail colors, nail designs and french designs. They even have pedicure stripes and gel stripes! The fact that Incoco is confident enough to send samples to complete strangers for review and trust that they will only get positive feedback says a lot about the quality of their products. Se aplica super rapid! Nu m-as fi asteptat. Am in plan sa cumpar niste folii mai ieftine, sa fac o comparatie.